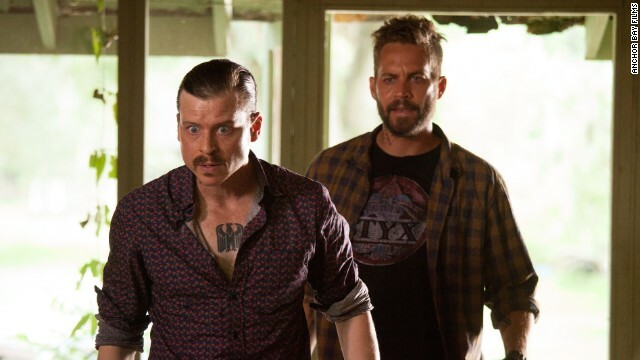 Walker, left, and Vin Diesel appear in a scene from "Fast & Furious 6." Walker's role as Brian O'Conner in the franchise helped to make the actor a star. Walker and Jordana Brewster appear in "Fast 5." Kevin Rankin and Walker appear in "Pawn Shop Chronicles," a film about a missing wedding ring that sets off a wild goose chase. Walker also had a starring role in the upcoming film "Hours," which is about a father trying to keep his daughter alive after Hurricane Katrina. The actor was part of a band of thieves in the movie "Takers." 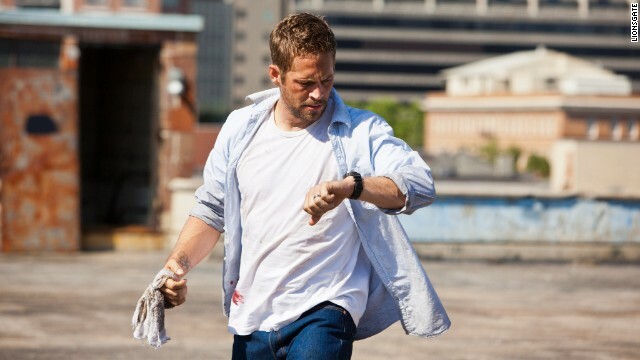 Walker appears in the action film "Into the Blue," which also starred Jessica Alba. Walker appears in "The Fast and the Furious," the first movie in the franchise. Walker and Reese Witherspoon in a scene from the film "Pleasantville." Walker, center, appeared in "Skulls" with Leslie Bibb and Joshua Jackson in 2000. Walker and Freddie Prinze Jr. co-starred in the popular film "She's All That." Brooklynn Proulx and Walker appear in the film "The Lazarus Project." 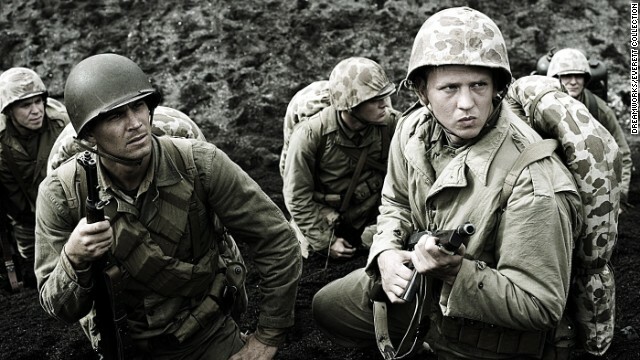 Walker, left, and Barry Pepper were U.S. Marines in the drama "Flags of Our Fathers." Tyrese Gibson and Walker appear in "2 Fast 2 Furious." 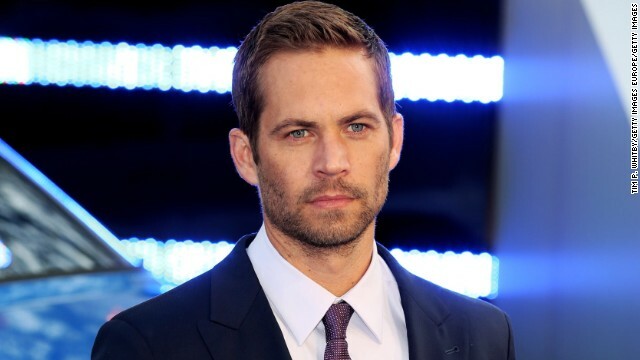 (CNN) -- It's been a year since "Fast and Furious" star Paul Walker died in a car crash, and his father says not a day goes by that he does not think of him. 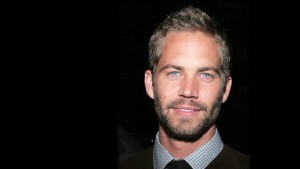 "I feel his presence every day," said Paul Walker III. "I miss talking to him a great deal. He had a good heart." Walker's death on November 30, 2013, devastated fans worldwide. An investigation determined that the cause of the solo-vehicle accident was unsafe speed for the road conditions. Walker's father recently shared fond memories of his son with E! Online. "Paul just radiated love and you can't fake that," he said. "Paul had a really good heart. I thought, 'How did I deserve such a wonderful son?'" He described the ocean as Walker's "magical kingdom" ... "the other was the racetrack." 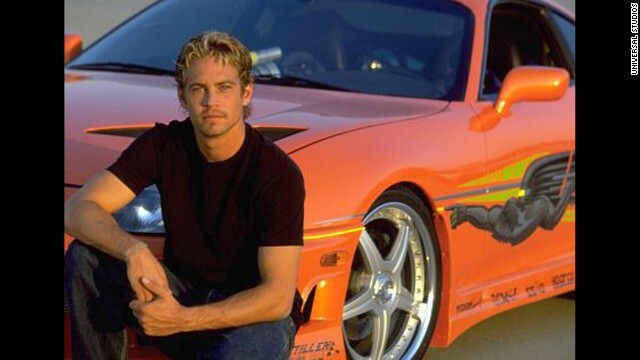 Walker's most famous film franchise, "The Fast and the Furious," centered around auto racing. 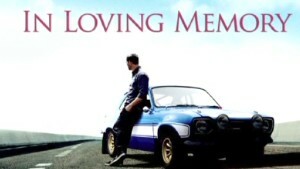 His final film, "Furious 7" is set for release in April.